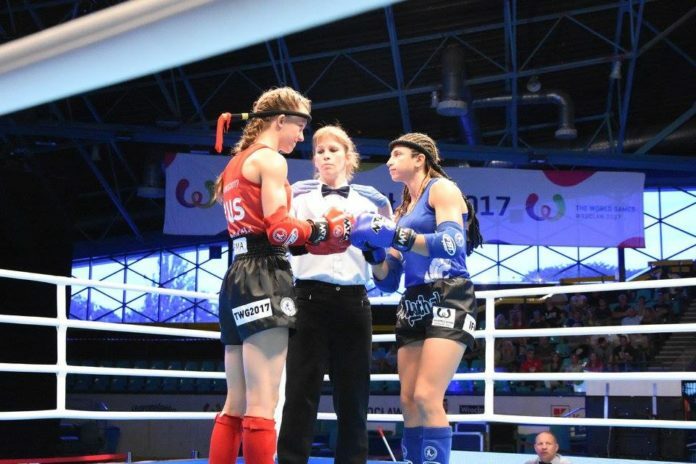 Muay Thai fighter from Russia Svetlana Vinnikova has been nominated for the “Athlete of the Year 2018” by International World Games Association (IWGA). She is featured on the poll comprising a total of 25 candidates representing different sports. “IFMA is proud to announce that one of our champions has been nominated by The World Games to compete for the prestigious Athlete of the Year competition. Voting opens in January 2019,” International Federation of Muaythai Amateur reported. In 2018 Svetlana Vinnikova won Gold at both, IFMA World and European Championships, competing in the women’s 63.5 kg weight class. She also took part at The World Games 2017 held in Wroclaw, Poland, which marked a debut of Muay Thai at the most prestigious competition immediately after the Olympic Games. The voting for the IWGA Athlete of the Year 2018 is available on the official website of The World Games. A complete list of nominees can be found below.